. إن الخدمات الممتازة وحسن الضيافة العالي في Rydges Hotel Rotorua تجعل إقامتك تجربة لا تنسى. يقدم هذا الفندق العديد من الخدمات الكفيلة بإرضاء أكثر الضيوف تطلباً. بالإضافة لهذا، تتضمن كل غرف الضيوف مجموعة واسعة من وسائل الراحة . بعض الغرف توفر حتى تلفزيون بشاشة مسطحة, سجاد, قهوة فورية مجانية, شاي مجاني, بياضات لإرضاء أكثر الضيوف تطلبًا. يقدم الفندق مجموعة واسعة من وسائل الراحة المتنوعة، كمثل: مركز للياقة البدنية, حمام سباحة داخلي, تدليك. 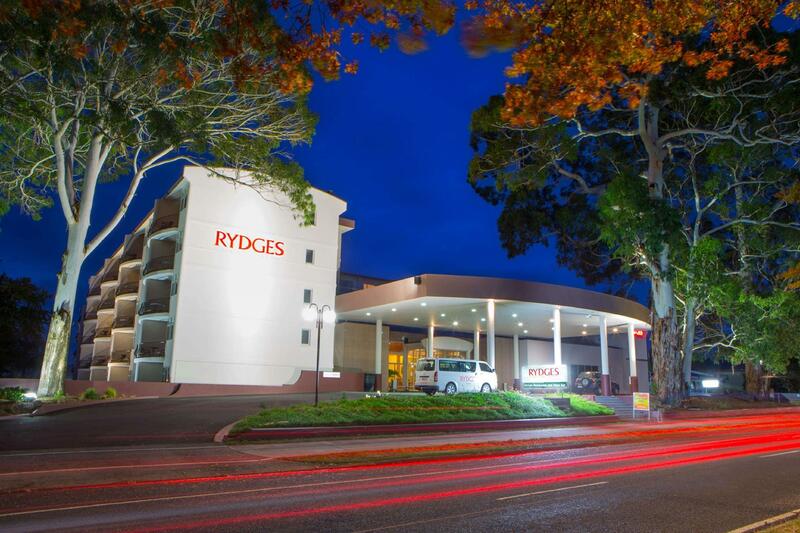 يحظى فندق Rydges Hotel Rotorua بموقع ممتاز وخدمات يصعب منافستها. Never stay in this hotel. Its a ripoff. Run down rooms. This hotel particularly smells of hydrogen sulphite (rotten egg smell). I checked out after 10mins. Stay 100 metres away and there is no smell. Never stay here. The hotel is about 15min walk to the city center, and along fenton st. rooms are spacious and clean. staff are helpful. internet works in the room but is slower as you move farther away from your room's door into the room. Noted our room the decor was getting a bit tired. The Sky channels were snowy and there were ants in the kitchen and main entrance area. 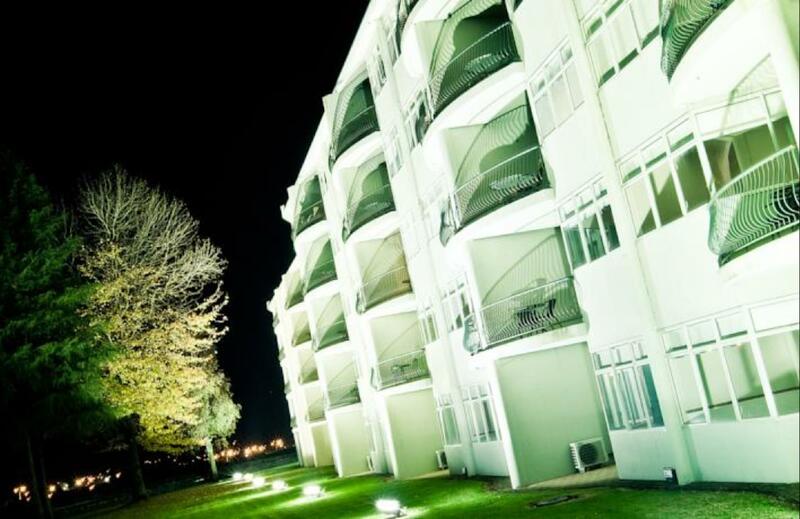 We have stayed previous times on the upper floor levels and feel the rooms were better. 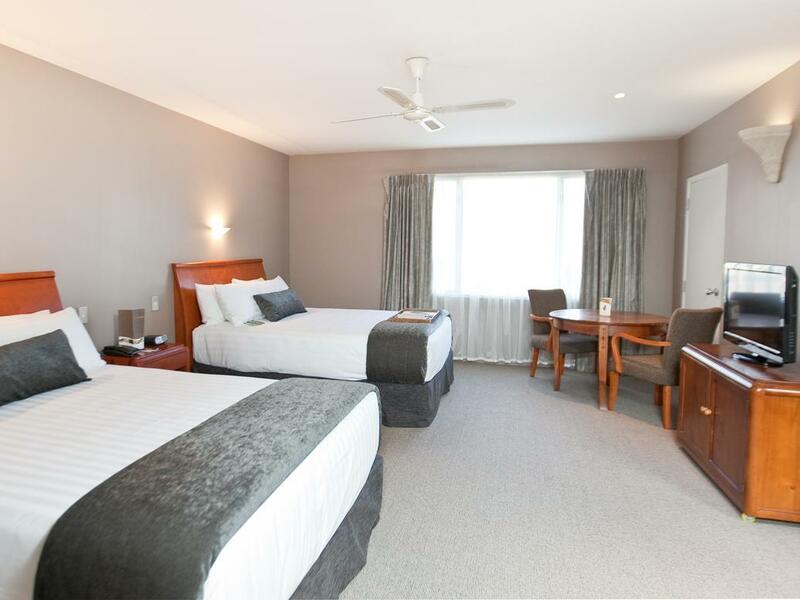 We do enjoy staying at Rydges Hotel Rotorua and find the staff friendly and professional. Stay was good room nice and warm and roomy. Could have done with some plates and knives and forks in our room and even a microwave not everybody eats at the restaurant. But overall liked our stay.Beds nice and comfy. 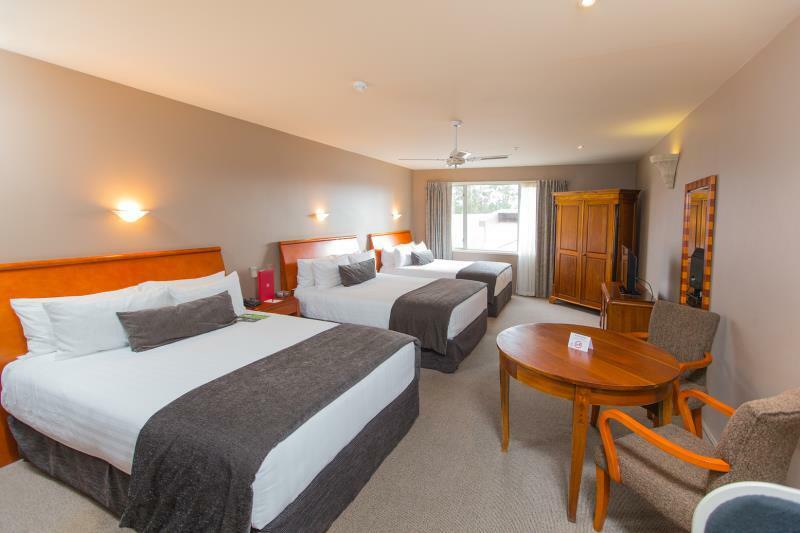 Strategic location near main attractions of Rotorus (Te Puia, Agrodome) Room was clean enough, mattress was comfortable, and the service is excellent. The problem was that the heater wasn't working at all and the receptionist gave us a small portable heater for a quite big bedroom. 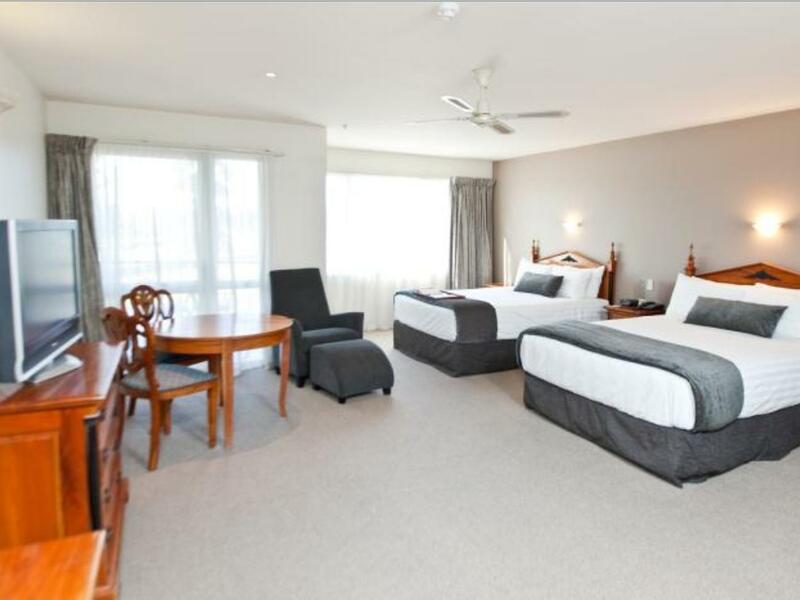 I paid almost half the cost for same size King Suite at the Hilton in Taupo, I received a better welcome & the room was far more advance and upmarket. Rotorua being a larger town than Taupo, you would think the style of hotels and brand name hotels would move with the times. Our room problems.... Large Spider webs in bathroom Bathroom faucets were rusted Shower tiles dirty Carpet was dated Limited Sky channels Staff were not interested when advised of these issue and concerns. Extremely comfortable rooms. Loved the fact my balcony overlooked Rotorua racecourse. Friendly Staff, great Restaurant meal. However, our deluxe room may have been deluxe back in the 90's. The furniture is old and tired, the carpet is frayed and I could have cut my feet with the exposed carpet nails. Three of our drawers when opened had no base, I could see my feet lol. 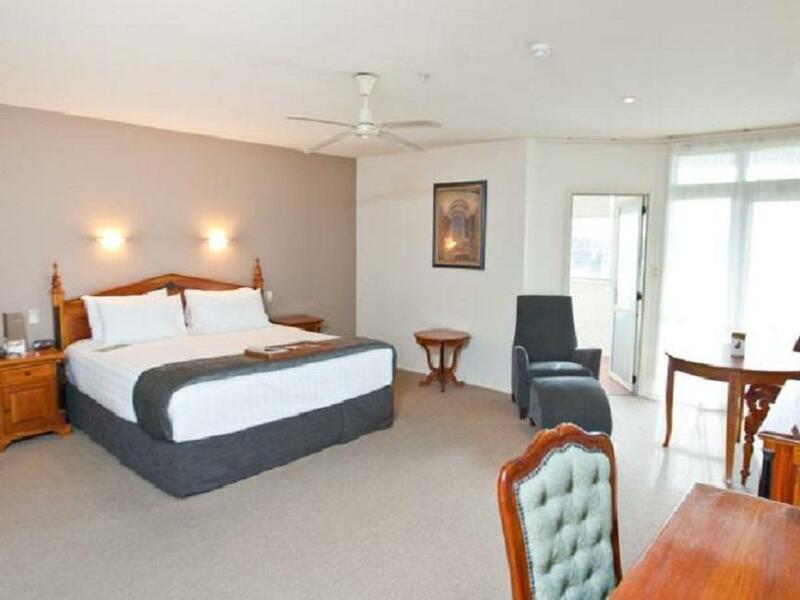 The room definitely needs aircon, the ceiling fan is not adequate enough in the summer heat. We slept with the balcony door and all windows open. If you don't mind staying in a 1 star hotel, then this is the place to stay. Staff are friendly and the restaurant dinner was delicious. Unfortunately the Hotel is outdated and tired. Our deluxe upgrade may have been deluxe back in the 90's but not today. The carpet is frayed and worn with sharp nails sticking out, the drawers are old and worn and I could put my hand through 3 of the drawers. One of the drawers was missing a handle. There is no aircon system, a ceiling fan is not adequate in this sweltering summer heat and the swimming pool was closed. If you don't mind paying for 1 star accommodation then this place is for you. Stayed one night. First impression was that it was very dated. Bath tub for the room was in the conservatory on the ground floor which I found very strange. But it was clean. It was a very expensive stay for one night. The pool was broken and out of use. Only good thing about this hotel is it's across from one of the best cafe/restaurants in Rotorua. The front of house staff were pleasant and welcoming.The room needed some attention, the ciurtains were ripped, the beading on 2 of the corners were broken and hanging off. There were no extras such as plates or even a knife in the kitchen drawers. How do you cut a piece of fruit and what do you put it on so that you do not make a mess? Generally this room needed a lot of attention to make it worth the star rating it has. I was very disappointed. Booked online it looked luxurious and clean. Entrance into building was grand and looked really nice but when we got out of the lift to go to our room I was shocked at the state of the hallway it was very old and smelly it looked like a old run down hospital like building . We made our way to our room and when I opened the door I was so dissapointed the room was not luxurious at all the carpet was ripped and old. The spa bath was dirty it was horrible I went back to reception to ask for another room and they gave me another room on the top floor , that room looked just like the first old and dirty, I didn't get to use the spa bath because it was dirty, there was half used shampoo bottles in the shower and soap scum on the shower floor tiles. there is no microwave, no plates, no forks and knives just a jug 4 cups 4 teaspoons, 4 glasses, it was so shocking . There were cobwebs outside on the balcony rails it just was not a clean luxurious place it had stated on its website . I emailed the manager regarding my stay and he didn't even reply . I'm so disappointed and would not recommend this motel to anyone who wants a nice luxurious place to stay in Rotorua.